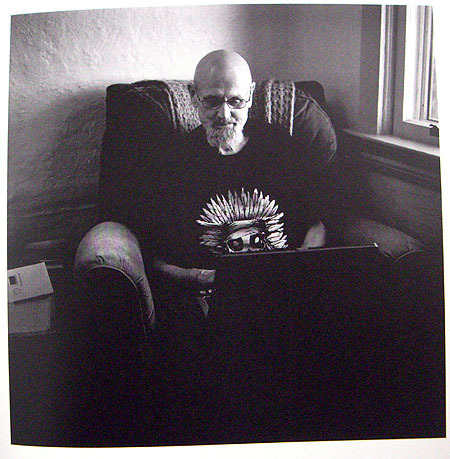 Lady and I were lucky enough to each have one of our poems and our foto taken by Charlotte Mann in her just released 9″ x 12″ 100 page hardcover book Hotel Poem, Poets of Cleveland featuring 47 Cleveland poets. 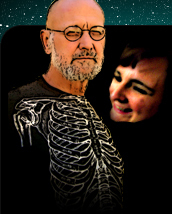 We’ll all be gathering at Visible Voice Books tonight to read our poems out on the patio under the stars. 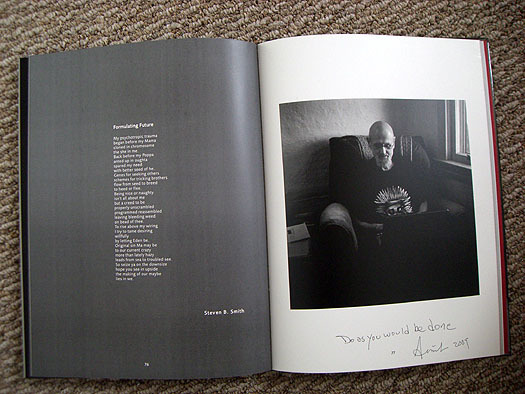 The book is $40 and contains a cd of 30 of the poets reading their poems. 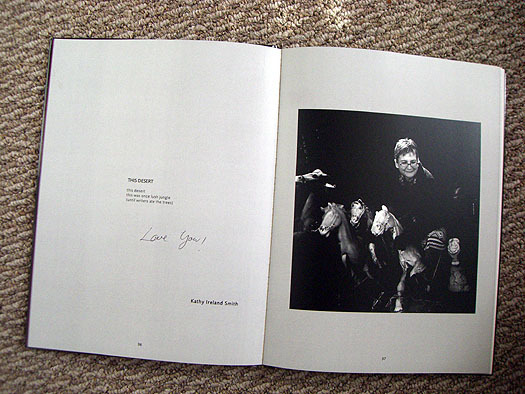 There were 20 copies of a limited edition book hand-printed by J.S. Makkos of Language Foundry which featured a linoleum print cover and special inserts which sold for $60, but those sold out. I believe most of the regular copies are also nearly sold out, but the remaining copies will be on sale tonight. The 47 fotos will also be on display at the Brandt Gallery tonight (which is right across the street). Poets: Tell your friends. Tell your families. Tell your other poets. 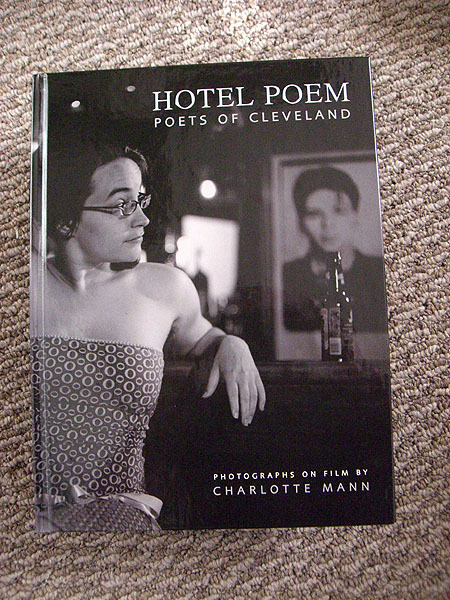 Poets: Anyone who has bought a non limited edition Hotel Poem, Poets of Cleveland is due a CD. 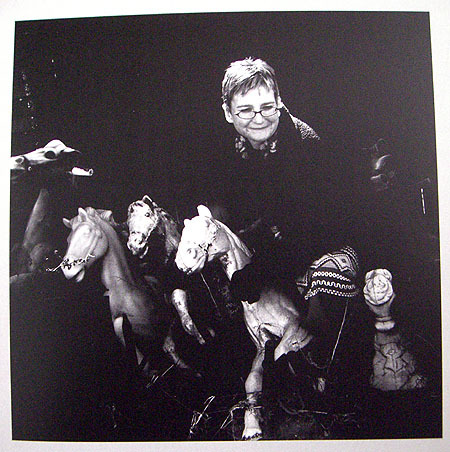 I have decided to include that in all the copies. If you got a book then let me know, I’ll get the CD to you. It’s brilliant, compiled by Jose Alberto Luna. Here are the poems we have in the book. with better seed of he. leads from sea to troubled see. This entry was posted on Saturday, August 22nd, 2009 at 5:58 pm	and is filed under Art, cleveland, Lady, Photography, Poetry. You can follow any responses to this entry through the RSS 2.0 feed. You can leave a response, or trackback from your own site.